Score one in the positive column for the Islanders and general manager Garth Snow. The franchise just inked Jaroslav Halak to a four-year deal worth $18 million, according to multiple reports. That’s right, a franchise goaltender. Halak, 29, who has won 25-plus games in four of the last five seasons, had some ride through the 2013-2014 season, starting with St. Louis, then being dealt to Buffalo and finally to New York once the regular season ended. Through all the moves, he still went 29-13-7. In 2011-12, Halak won the Jennings Trophy, allowing the fewest goals in the National Hockey League. He also sports a 144-85-29 record, 30 shutouts and a career .918 save percentage and 2.38 goals against average. Even though two trades and a wobbly go at the 2013-2014 season, Halak was still fourth in the league with five shutouts and eighth in goals against with a mark of 2.25. He’s legit and will be a stable piece in net compared to what the Islanders have had for about the last decade. Halak has ample playoff experience as well, appearing in 23 playoff games with Montreal and St. Louis. 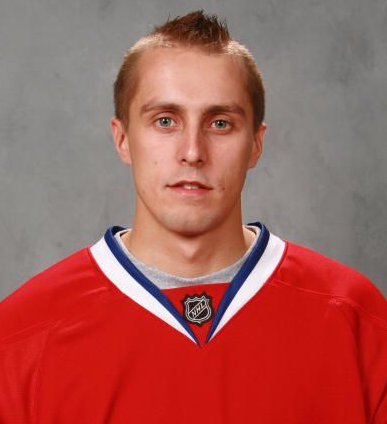 He led the Habs, who originally drafted him, to the 2010 Eastern Conference Finals in 2010. Considering this is a key piece the Islanders were missing, the franchise is fortunate to lock Halak very early in the process and now they can focus on building up other depleted parts of the roster. Don’t put Halak up there with the likes of Billy Smith just yet, but he should be a valuable commodity in the prime of his career.